InTrust Communications is a values-based communications consulting firm. Our communication team is comprised of leaders who specialize in difficult situations. We provide support in the management of interpersonal differences in both corporate and personal settings. Whether corporate or interpersonal differences, InTrust facilitators take a research-based approach to each situation, drawing on various modalities to determine the most appropriate strategy for each client. Balanced with intuition and the greatest of care, InTrust allows for vulnerability and awareness to meet adaptability and skills – creating a newfound comfort in navigating communications. InTrust Communications turns conflict and miscommunications into opportunities that make life better at work and at home. For 20 years, thousands of clients have come to count on us to help them grow, understand and transform. At InTrust Communications we help people slow down the communication process prior to decision making. We provide training, coaching and facilitation services to individuals, couples and families who want to communicate better, be heard and understood. With are help you gain insight into your words, perceptions and emotions. You walk away knowing your triggers and learn effective skills to deal with them. Simply put, working with us will enhance your personal awareness and simplify your life by giving you the skills to reduce conflict. Do you feel unheard? Do you struggle to get what you’re feeling across? Does it all feel muddled and messy? Communicating with a loved one can be difficult. We are wrapped in emotion and clarity can be illusive. InTrust can teach you how to communicate effectively. We will help you peel back the layers of emotion and reveal your truest and clearest messaging using Emotional Intelligence and Conflict Resolution techniques. We’ll hold the space for calm, kind, and clear communication. You walk away knowing your triggers and learn effective skills to deal with them. Simply put, working with us will enhance your personal awareness and simplify your life by giving you the skills to reduce conflict. Isn’t it great to be ahead of the game? InTrust has created a program that teaches clients how to communicate positively, clearly, and with integrity before a conflict arises. This proactive approach to communicating is sure to flow into all areas of your life once you have the knowledge and awareness of clear communication. With our help you gain insight into your words, perceptions and emotions. InTrust Communications has been providing the corporate world with leadership renewal, transformative and management services for 20 years. Thousands of people have been helped to communicate better, lead more naturally and resolve conflict through a variety of innovative communication processes. Our team will work with you to create an open, transparent, healthy organization where organizational values are visible and give results. InTrust Communications has been providing the corporate world with leadership renewal, transformation, and management services for 20 years. Thousands of people have been helped to communicate better, lead more naturally and resolve conflict through a variety of innovative communication processes. Our team will work with you to create an open, transparent, healthy organization where organizational values are visible and give results. We have developed a Corporate Integrity Toolkit that gives us the freedom to mold our approach to your particular business needs. You have sales targets and CRM software, products and chains but what are the values you bring to your business? InTrust will guide you through a corporate values assessment and co-create your Corporate Values Statement. Values Statements bring Emotional Intelligence to your corporation and provide guidance and the emotional ethos within which all employees work, from upper management to entry-level employees. The benchmark and lens through which decisions are made and actions are based, your Corporate Values Statement is an important part of your business. Bring this Values Statement to your communications, internally and externally. 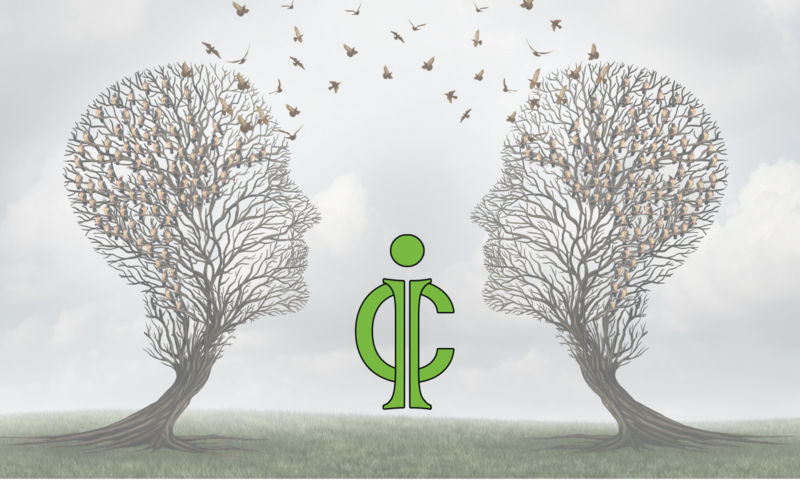 InTrust has created a program that teaches clients how to communicate positively, clearly, and with integrity before a conflict arises. This proactive approach to communication enhances personal awareness for your team thus allowing clarity in communications at work. Our team will work with you to create an open, transparent, healthy organization where organizational values are visible and give results. Leadership Development completes your corporate Integrity Toolkit. InTrust teaches leaders to be great. Our Intrust Edge program offers leaders individual coaching and mentorship support. Leaders learn how to listen, build teams, communicate effectively, and take responsibility.